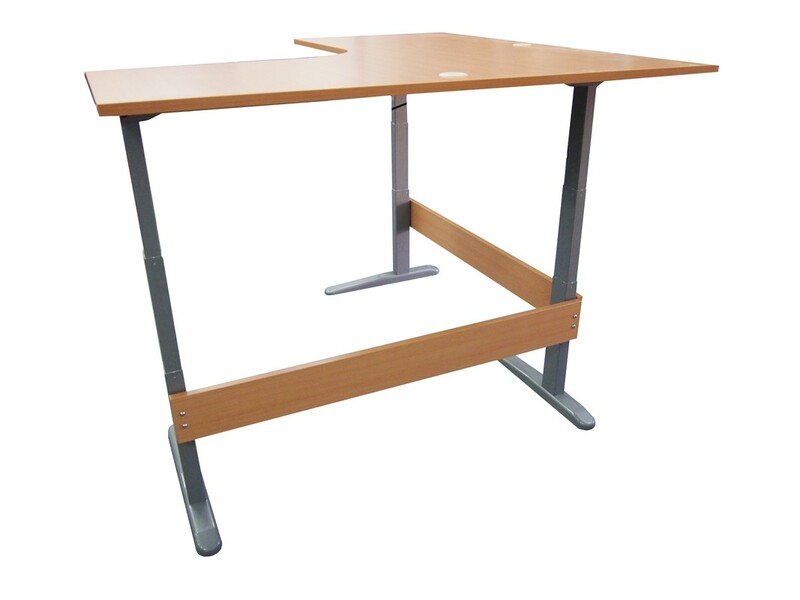 If you are looking for a great height adjustable desk and want to save some money - convert your existing desk by installing an Accord Height Adjustable L-Shape Frame under your existing desktop (please check for suitability). Convert your existing L-Shape desk into a Height Adjustable Desk by installing the Accord Height Adjustable L-Shape Frame. Please check the suitability of your existing desktop prior to purchasing. The Accord L-Shape Frame comes with two modesty panels and has an incredibly whisper quiet operation via the high quality actuators located in each leg. 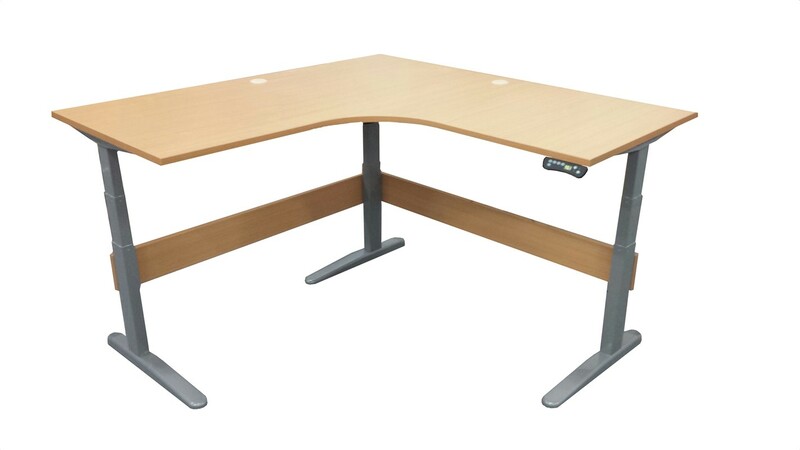 The Accord L-Shape Frame can be used with a variety of desk lengths however, the modesty panels must be made to suit so providing the correct leghth of your desk is important. Highly recommended in office and industrial applications. Check if your desk is suitable for conversion.